Sara is a Sarasota native, born and raised on Siesta Key. After only three years practicing real estate with Michael Saunders & Company, she has risen to the apex of the industry, ranked in the top 40 of Realtors® in Sarasota County for sales volume and in the top 1% on Siesta Key. She attributes much of this success to her first-hand knowledge of the waterfront lifestyle and deep local roots within the commu... more.nity. Whether helping a customer understand depth restrictions within a certain waterway or connecting them with her rolodex of home and building professionals, Sara approaches every customer experience with same vibrant, esprit de corps that infuses the lifestyle along Florida’s Gulf Coast. Before becoming a Realtor, Sara opened, co-owned and operated the area’s first Pure Barre studio, which became an instant success. 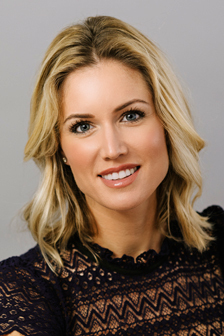 Her entrepreneurial spirit translates perfectly to the real estate industry, where she works tirelessly to provide the highest level of professional service and guidance to those considering selling or purchasing a luxury home or condominium. She started out in real estate alongside her husband, Nick Ferguson, who owns construction firm N.C. Ferguson Construction. 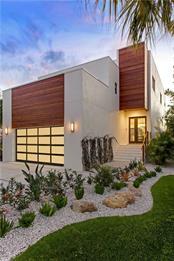 From this experience, she gained expertise in custom home site selection and home design. Sara’s background in marketing and sales, combined with her in-depth understanding of the Sarasota market is an incredible asset to her customers. She successfully utilizes both traditional and digital marketing to maximize exposure for sellers; and provide comprehensive information for buyers. Always staying ahead of real estate trends and keeping on top of market fluctuations, while maintaining a strong business network, gives Sara a competitive edge that is invaluable to her customers. Locally, Sara attended Pine View High School before she studied at the University of Florida, graduating with a B.A. in business administration. Sara is a member of the Sarasota Association of Realtors and is a board member of the Boys and Girls Club. In her free time, Sara enjoys spending time with her husband and two young daughters. I'll start by saying Sara was an awesome agent! We we're moving from Texas so having someone we could trust on the ground here was important. She supplied us with consistently updated lists of homes to review as our price range fluctuated up and down! When we had the chance to come for a visit to view homes - we saw several good homes, but the first one we saw we ended up putting an offer in that afternoon. Before we left for Texas the next week we had a contract signed. From that point forward Sara continued to be there for us as we were out of state packing to meet with inspectors, to review repairs and any other items that popped up along the way! Sara is responsive, respectful, fun and has great taste in homes! We couldn't have had a better experience and would certainly recommend her for any family and friends moving to the Sarasota area! Couldn't have been better. Sara was s true professional and went that proverbial extra mile to help us. She introduced us to places we could shop for what we needed af even drove us there. Best of all, I don't consider her my real estate agent, I consider her my friend. We have worked with Sara on both the sale and purchase of our homes. She is professional, courteous, and knowledgeable. She went above and beyond to ensure that our experiences were both productive and enjoyable. We will definitely work with Sara in the future.